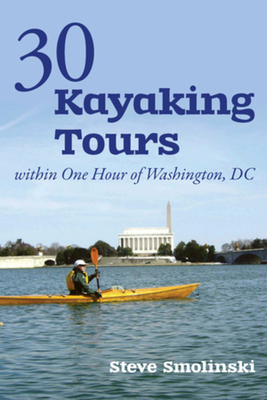 30 Kayaking Tours within One Hour of Washington, DC, catalogs the incredible diversity of waterways ideal for short to medium-length paddles just a short distance from the nation's capital--from the Potomac, Patuxent, and Anacostia rivers to lakes, reservoirs, and small tributaries. Perfect for city dwellers with limited free time, these are all half-day to full-day trips, including the short drives from the city, covering nearby Virginia and Maryland paddles as well as some within the District itself. With special focus on tides, time of day, and season, Smolinski helps enhance the reader's chances of observing the wildlife that is so unexpectedly plentiful here. Smolinski is not only an avid kayaker but also a builder of wooden kayaks, and he devotes sections to the immense satisfaction of being on the water in a craft made from scratch--a Zen experience, he says.This guide is your first choice for launching your DC paddling adventures.